Up from the Pavement » Blog Archiv » BOOK is NOW AVAILABLE! 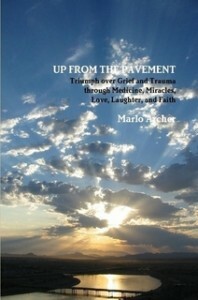 A few months before the 5th anniversary of the accident, the book detailing the recovery journey is finally available. CLICK HERE to have a copy shipped directly to you now! Enjoy the narcotic-fueled ramblings of a bedridden psychologist dealing with trauma, grief, and loss.